My Chocolate Cupcakes with Orange Cream Cheese Frosting post last month was my first blogosphere declaration of my fascination with the harmonious marriage of chocolate and orange in any dessert. This assertion will certainly recur every few months on this blog. Anytime I plan to make a chocolate dessert (specifically a dark chocolate one), I start thinking of the best way to add some orange flavor to it. That was exactly the first thought I had when I saw a very highly rated Chocolate Mousse Recipe on Epicurious.com. The recipe provided a perfect base for me to experiment and derive a recipe that has a subtle hint of orange in each bite. Bitter-sweet chocolate is the dominant flavor but when you savor this decadent treat, your tastes buds will also be tantalized with a delicate kiss of orange. Let yourself succumb to this temptation, you can always make your confessions on the treadmill the next day! You want to choose a baking chocolate with 50-60% cocoa solids. Anything higher that this may result in a slightly denser mousse. I used Ghirardelli 60% Cocoa baking bar. 1) Heat 3/4 cup cream along with the orange zest in a 1-2 quart heavy saucepan until hot. Once heated turn-off heat and set aside. 2) In a large glass or metal mixing bowl whisk together egg yolks, sugar, and a pinch of salt until combined well. Then add the cream mixture in a slow stream, whisking until combined. 3) Transfer the mixture back to the saucepan and cook over moderately low heat, stirring constantly. If you have a heat safe instant read thermometer use it to ensure that the mixture registers 160 degrees F. Pour this custard through a fine-mesh sieve into a bowl and set aside. 4) Melt chocolate in a double boiler or a metal bowl set over a pan of simmering water, stirring frequently. Remove from the stove-top once fully melted. 5) Slowly whisk the custard into the melted chocolate for a smooth mixture; set aside to cool. You want this to be at room temperature or cooled. 6) Beat the remaining 1 1/4 cups cream in a bowl with an electric mixer or hand mixer until it just holds stiff peaks. 7) Whisk 1/4 of the (stiff peak) cream into chocolate custard to lighten. Slowly fold in remaining cream gently but thoroughly (until fully combined). 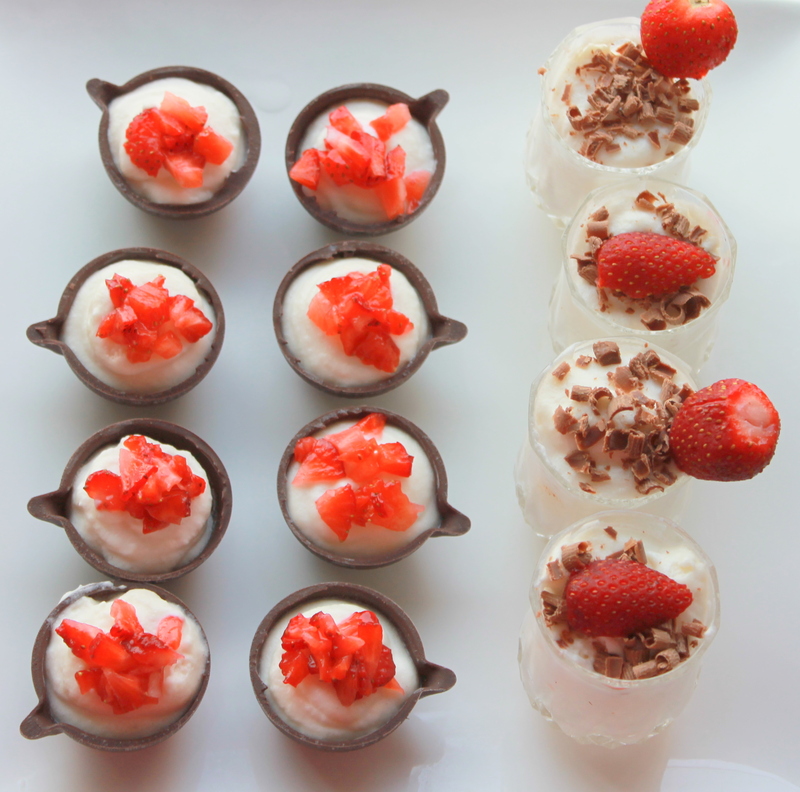 Folding it in carefully ensures that the mousse stays light and does not become too dense. 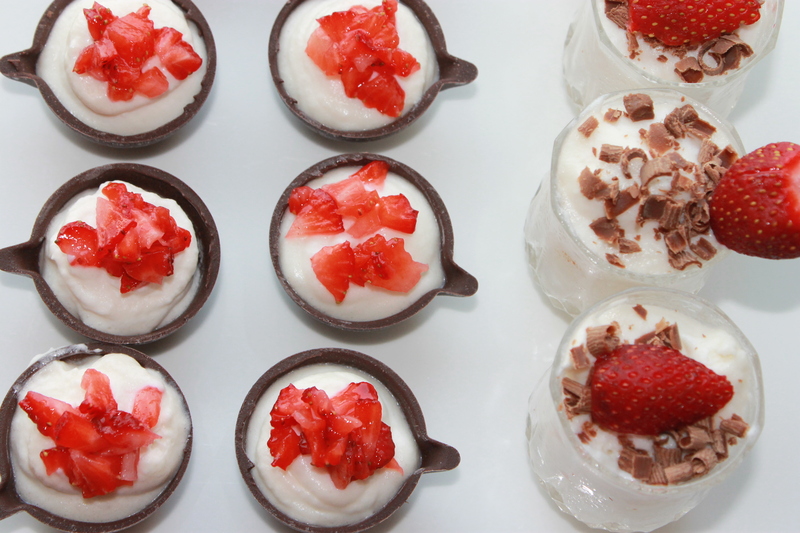 8) Spoon the mousse into 8 (6oz) stemmed glasses or ramekins and refrigerate, covered, for at least 6 hours. This mousse can be refrigerated up to 1 day. Let stand at room temperature about 20 minutes before serving. 9) Garnish with whipped cream and chocolate shavings just before serving.